The filing comes as the federal judge hearing Stone's case has warned she may impose a gag order prohibiting Stone from speaking out about the case recently brought against him by special counsel Robert Mueller, as part of his probe into possible collusion between the Trump campaign and Russian election meddlers in the 2016 U.S. presidential election. Stone, 66, was arrested Jan. 25th in a pre-dawn raid of his Florida home by the FBI on a seven-count indictment, including lying to members of Congress and witness intimidation, brought against him. If issued, the order would apply to all parties involved in the case. Stone entered a plea of not guilty in D.C. federal court Feb. 1. Last week, U.S. District Court Judge Amy Berman Jackson during a pre-trial proceeding said that the time prior to Stone’s trial beginning should not be used to wage a "public relations campaign.” Jackson gave Stone and the government until Friday to submit arguments about whether she should impose a gag order. 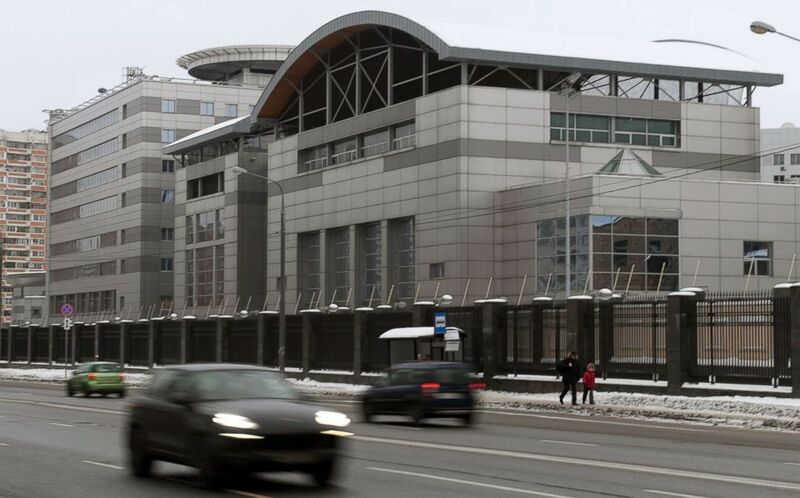 Cars drive past the headquarters of the Russian General Staff's Main Intelligence Department (GRU) in Moscow, Dec. 30, 2016. In their response, Stone’s attorneys argued that silencing Stone would be an “unconstitutional violation of Stone’s right to work, to pursue his livelihood and to be part of the public discourse. “Roger Stone is a writer and a speaker. With the exception of his occasional commentary on men’s fashion, Mr. Stone’s writing and speaking are exclusively and entirely directed towards political affairs and matters of public import involving the government and its officials," Stone's attorneys wrote in court documents filed Friday afternoon. Special counsel prosecutors are also expected to file their argument for why Judge Jackson should impose a gag order Friday. In a separate filing Friday, Stone objected to a move by prosecutors to declare his case as “related” to that of the dozen Russians military intelligence officers who allegedly hacked Democrats during in 2016 who were indicted in Mueller's investigation last July. 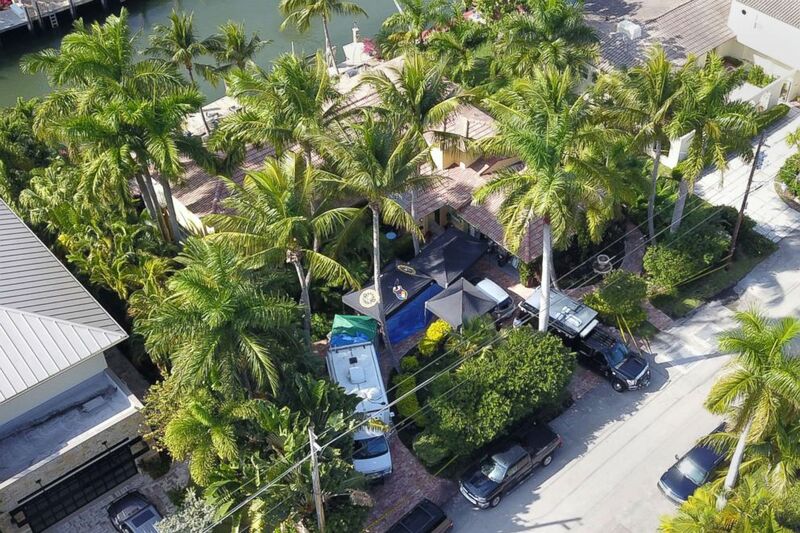 Federal law enforcement vehicles are seen parked at the home of Roger Stone after his arrest in Fort Lauderdale, Fla., Jan. 25, 2019. ABC News reported Thursday that a clerk’s marking on Stone’s indictment formally linked the two cases. Legal experts said that designating the hacking case as “related” to Stone's indictment means the prosecutors consider both cases to be part of a larger story that share issues, parties, evidence, or – as one former prosecutor put it – a “common nucleus of facts,” in part to ensure the same judge resides over both cases. In their filing, Stone’s attorneys argued that the government so far has not shown that the cases are “suitably related” and claimed that an “analysis of the allegedly ‘related’ indictments clearly demonstrate there is no nexus of any kind between the two cases.” Stone’s team argued for a random case and judge assignment. The judge later ordered prosecutors to respond to Stone's objection to the related case designation by Feb. 15. Stone has acknowledged to ABC News that he is referenced, without being named, in the Russian case as an individual who was in touch with Guccifer 2.0. Prosecutors sayGuccifer 2.0 was a false persona used by Russian intelligence to disseminate the documents and emails hacked from the DNC and then-Democratic presidential nominee Hillary Clinton campaign chairman John Podesta ahead of the 2016 presidential election. Stone has dismissed his brief interactions with Guccifer 2.0 over Twitter direct messenger in 2016 as innocuous and claimed he had no knowledge that Russian intelligence agents were behind the hacker facade. The Russians later allegedly released the hacked material through the anti-secrecy website WikiLeaks. The special counsel's recent indictment of Stone includes accusations that he lied to lawmakers about his communications regarding WikiLeaks.